Salem Heights House Jubilee. Photos by Michelle Bodine. 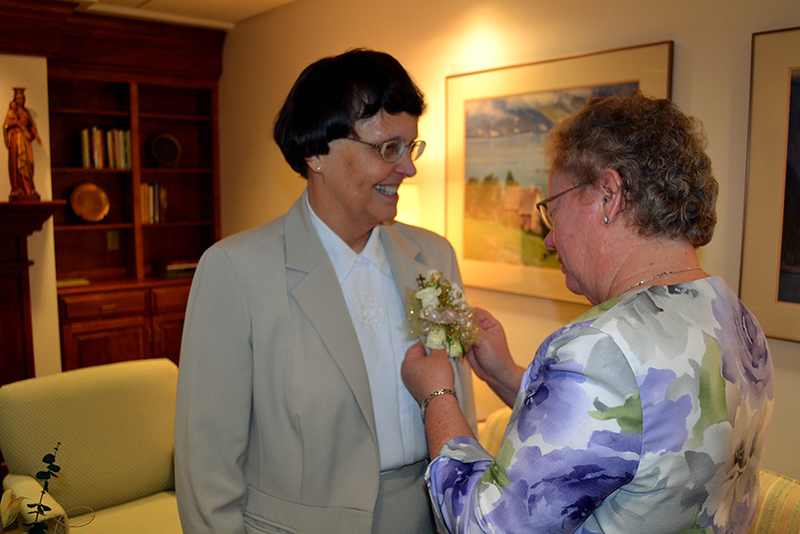 Sister Judy Kroeger pins a corsage on Sister Joyce Lehman before the 2014 House Jubilee Mass.